New construction homes have started to pop up along MLK and scattered throughout the adjacent neighborhoods just north of Downtown. This is a great sign for the City - I am excited to see investment in non-Habitat infill construction (even thought it is subsidized as well) because it demonstrates an expanding market. 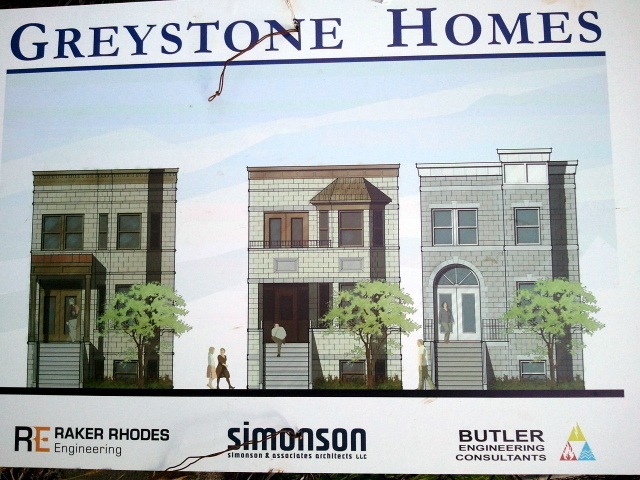 Not all of these are great design, but the Chicago greystone home type is a part of the context and underlying neighborhood development pattern there... density, material compatibility, consistent massing - these all create an understanding of why the buildings take the form that they do.